"If you smell gunpowder, then you're in Cicero"
Today, Cicero is a thriving and law abiding community of over 100,000 people no longer associated with the gangster element, as it was back in the 1920's. The town's once dark side is only shown here as a part of the Capone history. Once mostly Bohemian (Czech, Slav and Russian), it now occupies one of the biggest latino community. Most of the Capone era buildings are razed. 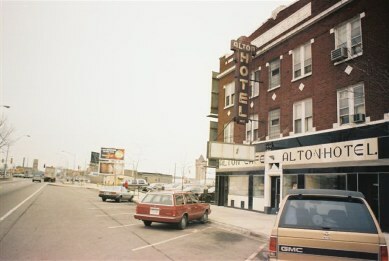 The Cotton club, Montmartre, The Ship, Hawthorne Inn, Anton's, aka Alton, have all disappeared. Gone, but one can still visit and imagine. The 1926 Hymie Weiss machinegunning of Capone's Hawthorne Hotel, boxer Edward Tancl killed outside his Hawthorne Park Cafe, Frank Capone killed in 1924, by police during an election skirmish. That was just a taste of Cicero in the 20's. Corrupt Cicero mayor who was once slapped down the city hall steps by Al Capone. He was a graduate from the Chicago College of Law and had a practice at 33 South Clark street in Chicago. Klenha was born in Chicago, but moved to the town of Cicero in 1914. There he was elected to the town board in 1917. He became president (Mayor) from 1924 to 1932. 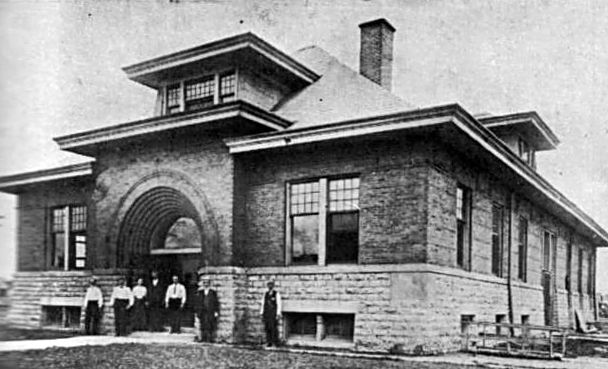 Klenha also served as director of the Western State bank in Cicero, and the First National Bank in Berwyn. He was also an Attorney for the Lawndale National Bank. Klenha lived at 1837 South Austin Boulevard. Klenha is finally defeated in 1932, by Joseph G. Cerny. Cerny received 16,216 votes and Klenha got 10,018 votes. The people of Cicero were fed up of the corruption that trailed Klenha's administration. The gangsters in Cicero had been running amok since 1924. The Capone gang had moved there after being chased out of Chicago by the newly elected and non corruptable Mayor William E. Dever. They setup in Cicero in 1924, they got Klenha elected and stayed till 1928. By this time, Cicero was known as the Capital of Caponeland. On October1,1926, Joseph Klenha, along with his sidekick Chief of Police Thoedore Svoboda and 77 others are indicted for violation of the Volstead act. They will appeal to avoid any actual jail time. World War 1 veteran and fierce Klenha opponent, Joseph G. Cerny. While most of the gang's speakeasies had closed after Cerny's 1932 election, a few operations remained right up to the 1960's. One such gangster that still operated in Cicero was Guiseppe "Joey Doves" Aiuppa. The Chicago mob tried to intimidate Cerny by bombing his home. Albert Capone (Umberto) is picked up for questioning by police. 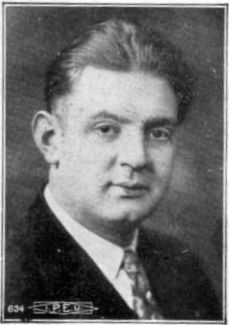 On August 12,1936, Joseph Klenha dies at age 61. Austin and 12th street in 1860. In 1858, the first bridge was built on 48th Avenue. 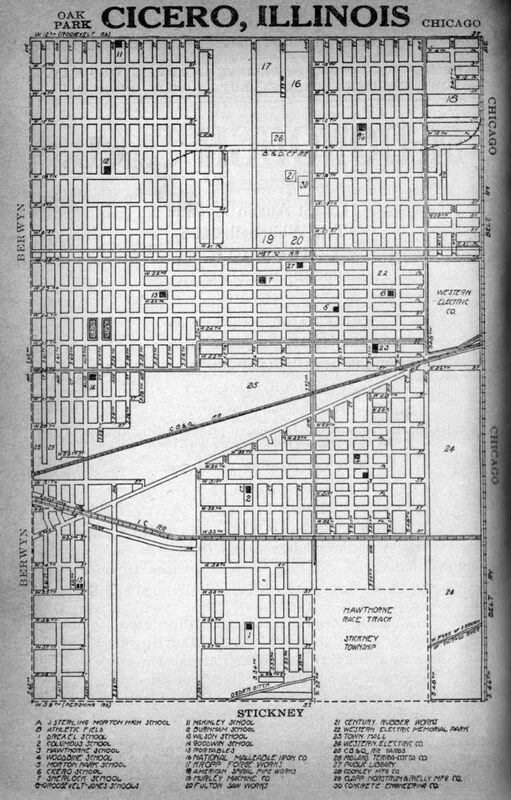 In 1859, roads were established on every section line that became the Cicero town limits. In 1861, the railway was planned with the first tracks being laid in 1863. At the beginning, Cicero was much bigger than it is today. Other new towns surrounding it broke away from it becoming their own entity. (Ex: Oak Park and Berwyn etc..). 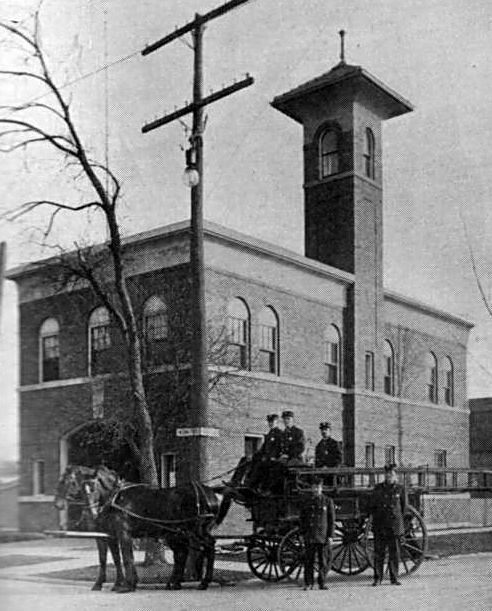 The Cicero police force circa 1913. While mostly honest, once Klenha came into power in 1924, the Capone's pretty much did as they pleased in Cicero. Corruption soon followed and police work was hindered by bribes, making some officers look the other way. Not surprising that many Chicago gangsters ended up dead following a one way ride into Cicero. Most murders between gangsters were never solved. 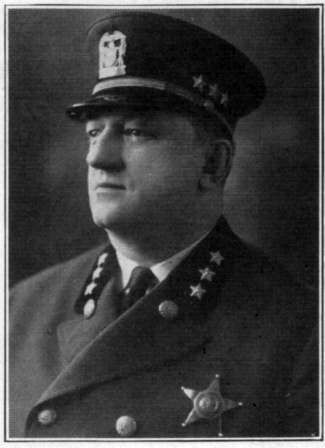 Known as the Dean of the Cicero police force, Lt. McGrath had been a Cicero resident all his life. He had joined the police force in 1902. Trusted by the people of Cicero. He lived with his family at 5346 West 24th street. 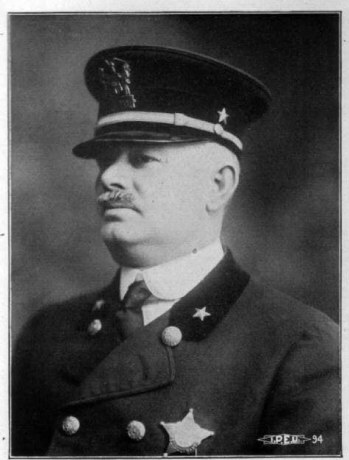 Joined the police force in 1905, Mongrieg showed his devotion to his job and the people of Cicero. He lived at 2641 South 60th court. At a time when many settled into the new town, Mongrieg himself was a native Ciceronian. An old citizen of Cicero, Wojciechowski has seen Cicero grow from a village to an important business center. Martin was tough, as he had once been a professional wrestler named Kid Martin, and fought the top wrestlers of the day. He lived at 4850 West 28th street. 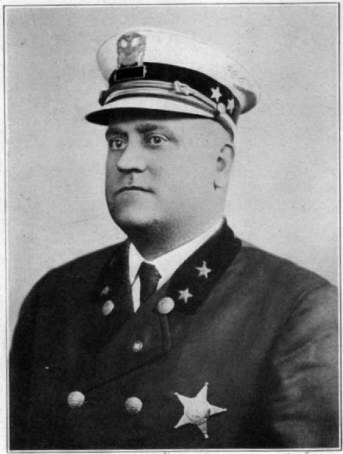 Capone era Cicero Police Captain Theodore Svoboda. Along with Klenha, Svoboda was in Capone's back pocket when it came to letting things ride in Cicero. Svoboda is the one who tried to smooth over newspaper editor Robert St. John's beating by Ralph Capone and thugs. St. John had started a crusade in a Cicero paper against the Capone rule. After a couple of warnings, St. John was beaten to a pulp in the middle of the street while policemen looked on. 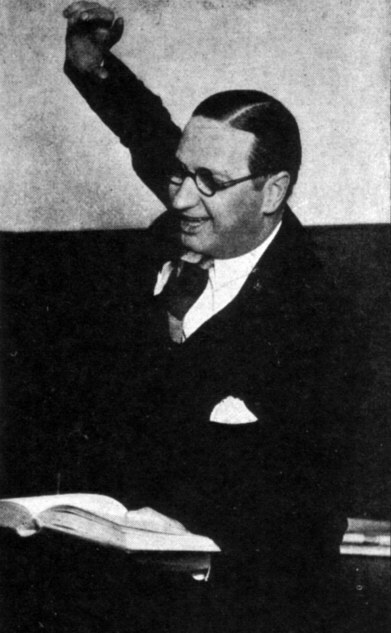 Svoboda arranged for St. John to meet Capone in his office at the police staion. Capone wanted to pay for St. John's hospital bill and apologize for Ralph's actions. The brave St. John stood to his convictions, refused the apology and the money. St. John's newspaper, The Cicero Tribune, was bought up by the Capone interests and he moved out. St John had the last laugh, he wrote 23 books and lived to the ripe old age of 100, passing away on February 6, 2003. Like they say, "What doesn't kill you, just makes you stronger." Not only used by policemen these Cicero badges were found on a few gangsters. 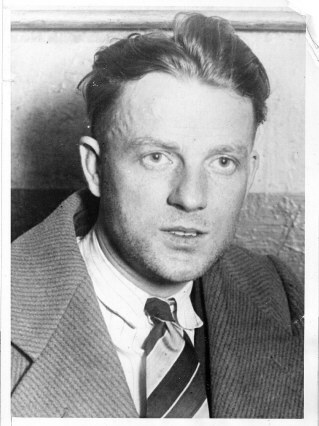 Northside gangster Louis Alterie was a frequent visitor to Cicero. 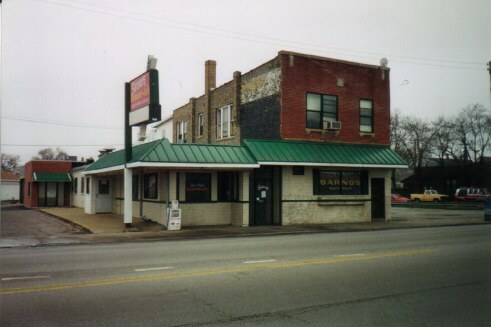 He had an interest in the gambling den at 4835 West 22nd street, under the cover of the Greyhound restaurant and club. On July 3, 1924, Alterie was involved in a major fender bender with a lawyer's car. While police were tending to a seriously hurt lawyer and his wife, Alterie managed to evade police at scene of the accident by flashing a Cicero police badge, exactly as the one shown above. 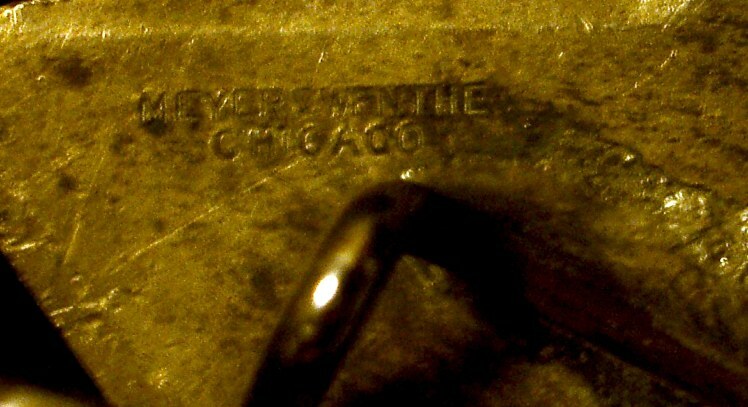 Meyer and Wenthe stamp in back of Cicero police badge. 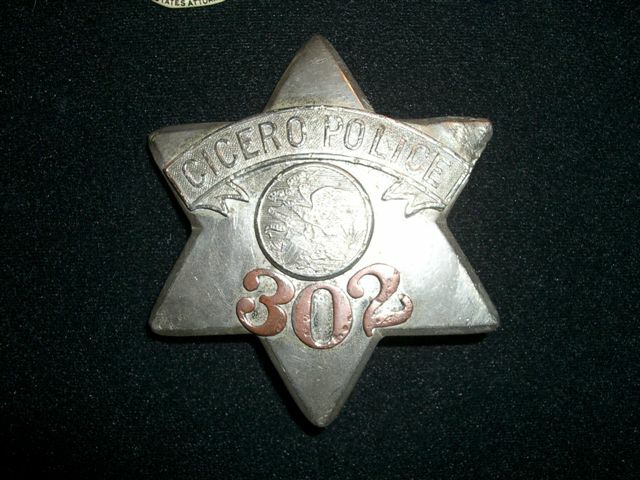 The Cicero police badges were made by Meyer and Wenthe company. It was a rubber stamp company that was founded in 1854. They made everything from official badges, rubber stamps, seals and transit coins etc... Meyer was the businessman and Wenthe was the master engraver. They were in operation right up to the mid 1980's until the were aqcuired by the Everson Ross company. 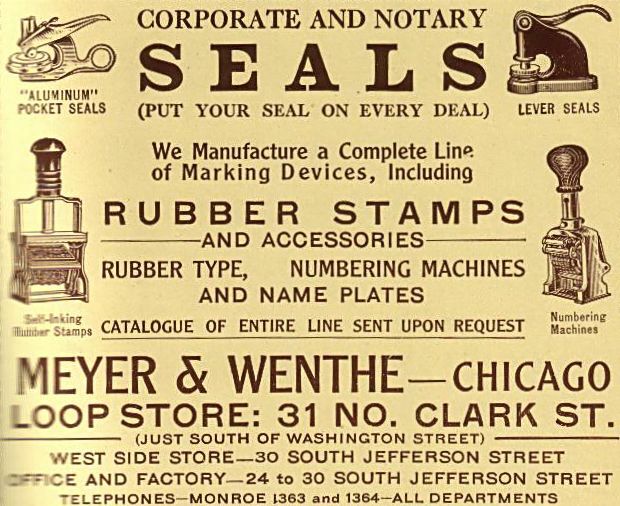 Meyer and Wenthe advertising in 1929 Cicero directory. 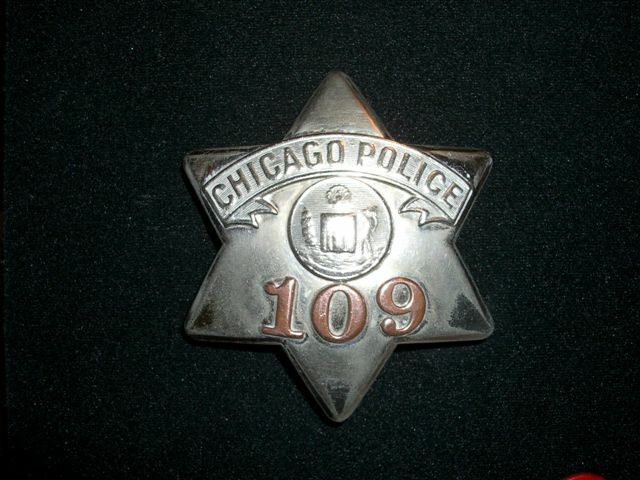 Chicago police badges were made by the C.H. Hanson company that was a competitor to Meyer and Wenthe. Hanson got the badge contract from the Chicago Police dept. 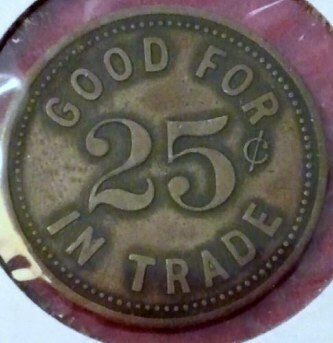 Capone's American crew had a couple of these on them to fool the Moran boys when they had entered the 2122 North Clark street building, for what was to be known as the St. Valentine's day massacre. Many offcials had complained that too many badges fell to the wayside and into the wrong hands of the law. Some corrupt officials even had deputized certain gangsters as special police or court baliffs. C.H. 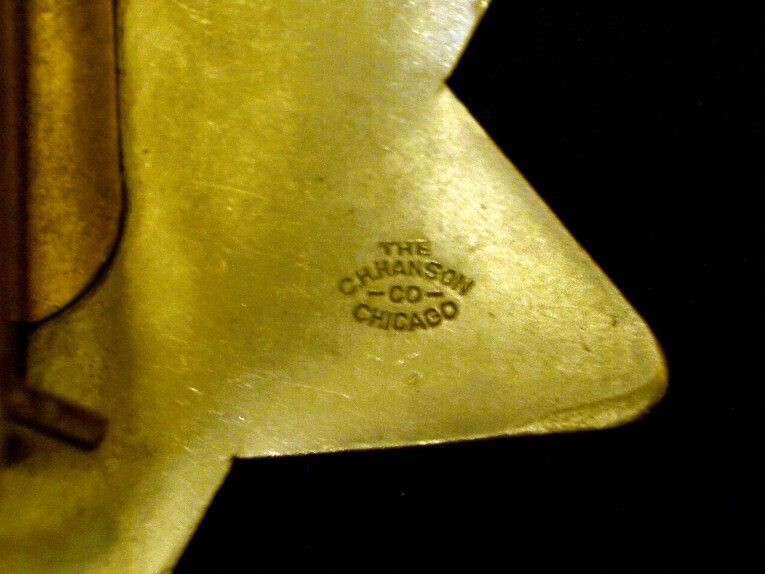 Hanson stamp located in back of Chicago police badge. Hanson company was in business since 1866 and was started by Christian Hanson and Edward Band. They had started at Lake and Clark street before the great Chicago fire destroyed the premises. They later installed themselves at 303 West Erie St. Stencil and rubber stamps just like Meyer and Wenthe had been their specialties. Collecting Chicago and Cicero Police badges. When I purchased these two badges I was lucky in that the sellers were honest. I badly wanted a Chicago or Cicero police badge for my collection and had gotten a quick primer on them through my good friend Bryan Lloyd. I have now come to be more educated on the subject by the kindness of Mr. Philip J. O'Keefe. While I know much about Capone memorabilia, I realized I didn't know much about Chicago pie plates. Here is according to collector Philip J. O'Keefe what you should be looking out for, especially when scouring Ebay for pie plates. Lots of fakes to look out for. PHILIP J. O'KEEFE- "About 20 years ago, someone had a bunch of pie plates made using original parts and dies from C.H. Hanson, complete with legit looking hallmarks. The remakes were sold through police department magazines as novelty items. The remakes are very shiny silver colored front and back and have many tiny scratches on the star's face like it was rubbed with fine steel wool before the seal, banner, and numbers were applied. Original pie plates don't have quite as good of a shine. They have the patina of an old nickel, even after polishing. The back is usually very dull. The remake numbers are applied straight across, forcing the seal and banner to be applied too high up on the star face. Original pie plates usually have the numbers applied along an arc, so the seal can be placed close to the center of the star. As such, the banner is usually not protruding into the top point. The original pie plates have at least a few nicks and scratches on the copper numbers. The banner and the seal are usually nicked and worn at least a little bit. When you consider that cops work in a rough environment and often have to wrestle and manhandle violent people, that makes sense. In comparison, the remake numbers, banner, and seal look like the badge just came out of the factory (which they did). Also, the nickel plating on parts of the remakes is very thinly applied. If you polish a remake badge a few times the banner ends up turning brass colored." My special thanks to Mr. Philip J. O'Keefe for helping the average collector in making an informed decision. 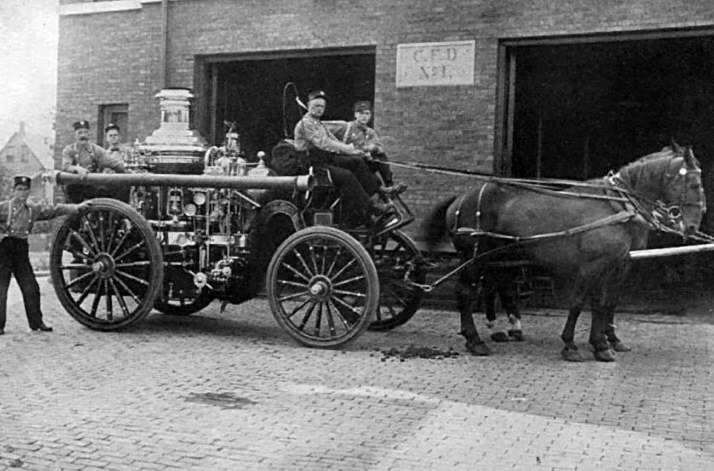 In 1929, 52 men occupied jobs as firemen. They were under the command of Chief Fire Marshal F.C. Haan. His headquarters were situated at 5303 West 25th street. They had one truck and four Engine companies. Cicero was proud of their Police and firemen. The massive Western Electric company in Hawthorne. Originated in 1869 Cleveland, It later moved to Chicago and set up this plant in Cicero employing over 32,000 workers making telephones, switchboards and cables. 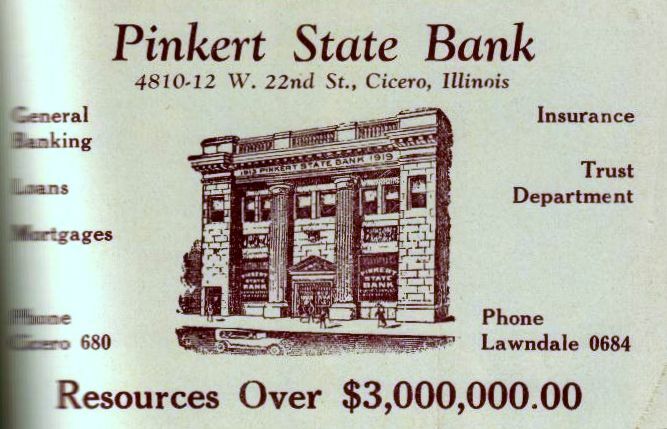 The Pinkert State bank. This bank figured prominently in the Capone's(Ralph and Al's) tax case. 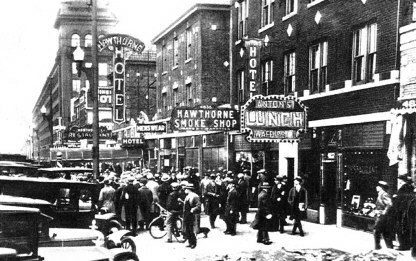 Up to five accounts were found here connected to the Capone gang in funneling money. Several Pinkert employees were at Capone's trial to testify for the prosecution. 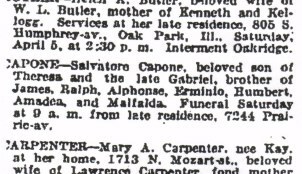 April 1,1924, Salvatore "Frank" Capone is shot and killed by officers seeking gangsters throwing around muscle to sway voters during elections in Cicero. 22nd street and Cicero Avenue. Salvatore Frank Capone's murder site. He was gunned down by police in a shootout in front of 2219 South Chicago Avenue. Frank, along with his cousin Charles Fischetti, and a third stocky gun wielding man were chased by police. Some bystanders and the owners/employees of the Hawthorne Tailors Shop said that Frank did not shoot at all, but police contradicted this theory and claimed that he shot twice at them and when his third shot jammed, they reciprocated and he was hit directly through the heart. Fischetti was caught while running through the brush. The third stocky man got away. Fischetti told police that he and Frank were not there for intimidations concerning the Cicero elections. He stated that they were there to open a restaurant at the Hawthorne Hotel, and had to see the boss of the place to discuss this. Police knew full well Fischetti was lying through his teeth. There had been many kidnappings and savage beatings reported to police. Many of candidate Klenha rivals were roughed up and abducted by gangsters to ensure his win at the polls. Women and men voters were scared off at polling stations when gangsters waved their guns and employed muscular activity as forms of intimidation. May 1,1924, Gangster Jack Horton is arrested in connection with the Jack Duffy murder. Horton produces a gun and a permit for it signed by Cicero Judge Emil Fischer. 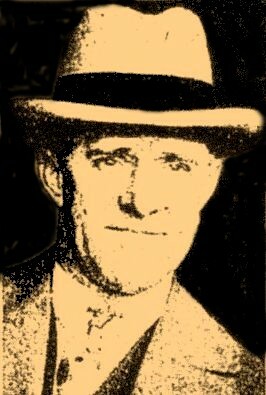 November 23,1924 Edward Tancl ex- boxer and Cicero saloon owner is shot and killed by Myles O'Donnell and James Doherty. 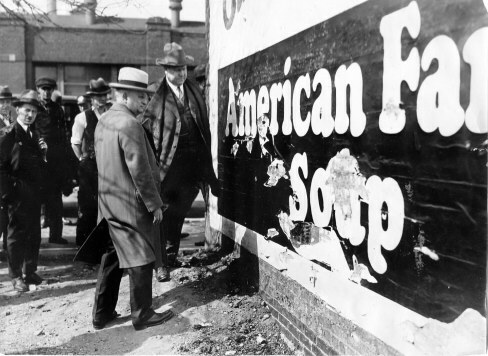 April 6,1925, Ralph Capone, Pete Pizzo and two other henchmen crawl out of an auto in front of 5141 West 22nd street, and assault Congress Park Policeman Fred Youngworth and beat him silly using cakes of soap in a sock. Cicero Tribune Editor Robert St. John sees this and runs to his aid. St. John waves a deputy badge to stop them, but the gangsters instead proceed to savagely beat St. John. (St. John had been printing gangster expose in his newspaper and the gang wanted revenge). Cicero gangsters will also kidnap Robert's brother Arthur St. John. June 29,1925, a parade of cars with signs demanding that "Gamblers must get out!!" pass by the city limits of Cicero to exclaim their outrage towards gangsters. It's organised by citizens in connection with Reverend Henry C.Hoover, and David Morgan. 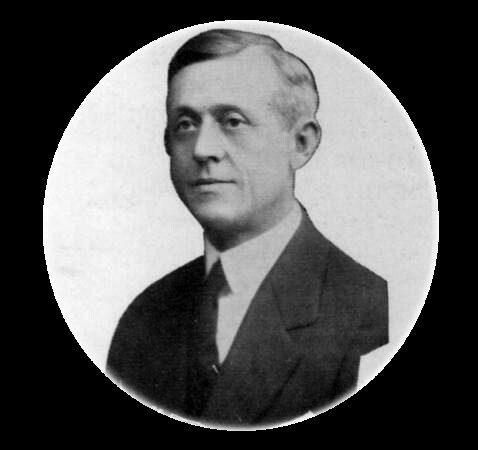 July 7-8,1925, David Morgan Chief investigator for the Minister's and Citizens association is shot by Cicero gangsters. He survives and the reason probably being Morgan is the principal informant against the vice rings in Cicero. March 3,1926, raiders and squads of detectives go gangster hunting making several arrests in Chicago Heights. No gangsters were found in Cicero. (HA!). April 20,1926, Cicero gunmen invade Stickney to participate in voting fraud. April 23,1926, machineguns blast Pearl Hruby 2208 South Austin beauty shop. Over 100 bullets are poured into her establishment and to a car parked right outside. The car is registered to John Burns, also an alias of gangster James "Fur" Sammon. Sammon is Pearl Hruby's boyfriend. Pearl Hruby's once beauty salon where Capone's gunners tried their tommy gun artistry. Miss Hruby was James" Fur" Sammon's girlfriend. He later fell under the fold of the Capone gang. 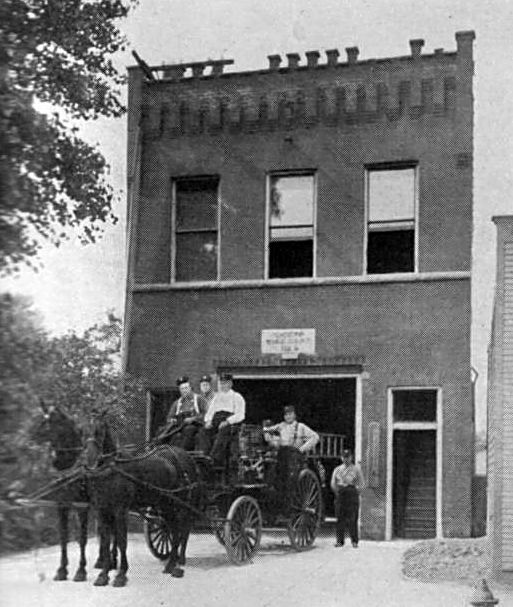 April 27,1926, Assistant State Prosecutor William McSwiggin is killed along with two others (James J. Doherty and Thomas Duffy) whom are gangster friends.They are standing in front of Harry Madigan's Pony Inn at 5613-15 West Roosevelt Rd. when they are raked with machinegun fire coming from a passing car. Many claim Al Capone was wielding the machine gun because of a beer turf transgression. The real targets were probably William "Klondike" O'Donnell and his brother Myles who had been encroaching on the Capone gang's beer distirbution. Klondike and Myles hit the ground and got away from the shooting unscathed. 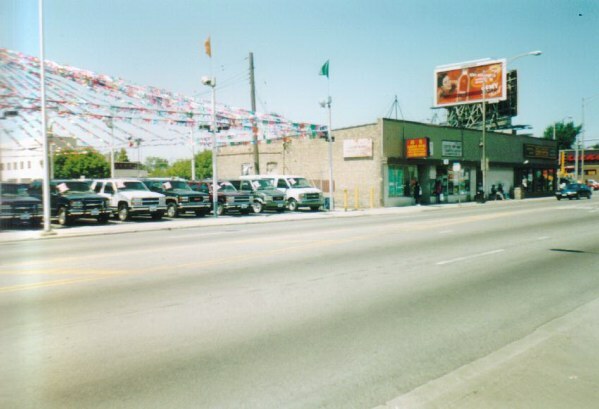 5613 West Roosevelt Rd.(Cicero). Drinking saloon known as The Pony Inn. This is where Willliam H. McSwiggin, an assistant state's attorney of Cook County was machinegunned at 8:40 p.m. on April 27th,1926. Probably by Capone himself, who personally took the charge to rid himself of the rival O'Donnells. They unfortunately happened to be out drinking with their childhood pal McSwiggin at the time. William "Billy" Mcswiggin. Assistant States prosecutor killed when the friends he was hanging around with were the target of gangster guns. McSwiggin's friends were West side gangsters. Al Capone's handy work gone bad. Bullets hit the the American Family Soap ad on the wall as victims fall. McSwiggin's and party car which was hit by Thompson machine gun rounds. Alex Korecek who was the gun dealer who was believed as supplier of weapon used to kill McSwiggin and friends. Al Capone went missing after the murder and was hunted for months. He was wanted for questioning and finally gave himself in. He was cleared of all the charges due to lack of proof . Capone mentioned that he and McSwiggin were good friends and that McSwiggin was paid off by the mob. 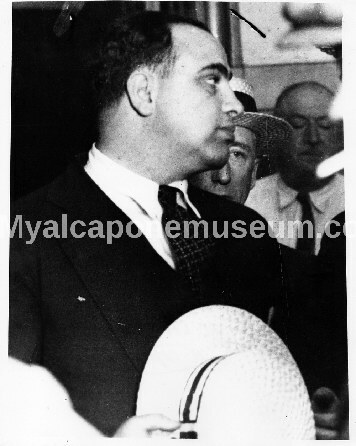 July 27,1926, Al Capone surrenders to Chicago authorities after being on the lam for months. He is wanted in connection with William McSwiggin's murder. He will be released when officials find no murder weapon. Some witnesses stated that Capone himself had pulled out a Thompson submachine gun from behind a fake panelling at the Hawthorne Hotel. Police found no evidence to corroborate this witness testimony during a raid there. 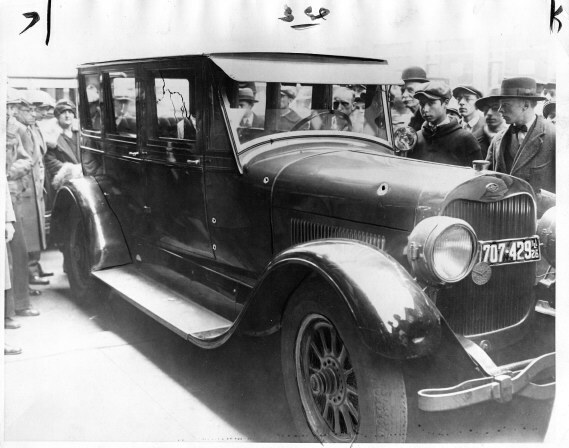 September 20,1926, eight car loads of Northsiders drive past Capone's headquarters.They let loose with a first volley of shots in the air from a machinegun to make any Capone gangsters appear, but none show up as Capone himself is thrown to the ground by his bodyguard Frank Rio.The real shooting begins and about a 1,000 rounds are poured in the Hawthorne Hotel. Capone's headquarters in 1926, and again where the empty parking lot is in the mid 80's. 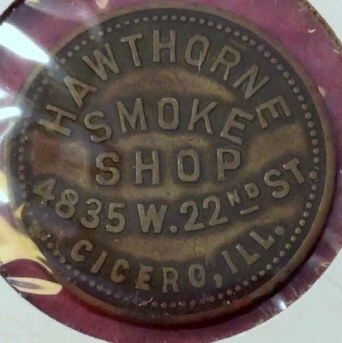 Token from Hawthorne Smoke Shop. It was later renamed the Greyhound and then the Montmartre. 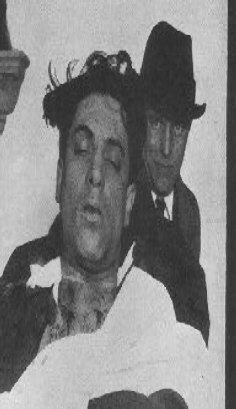 November 20,1926, gangster William Raggio is found in the woods between 57th and Cicero Avenue with a bullet hole in his head. Raggio had killed two black men who refused to serve him real beer in a saloon. 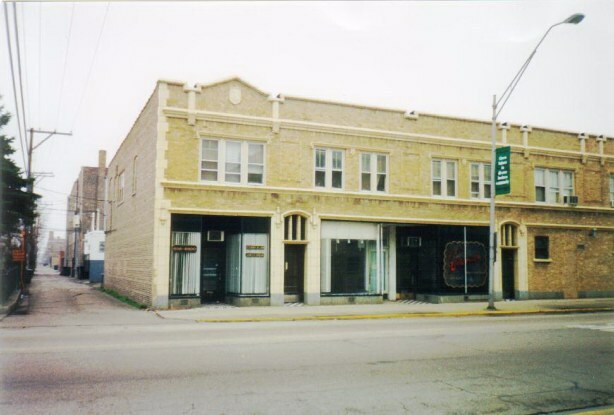 April 13,1929, gangsters William Clifford and Michael Riley are found shot to death in a car behind the Western hotel at 4823 West 22nd street in Cicero. This used to be Al's headquarters called the Hawthorne Hotel. The Cicero gangs disperse after the McSwiggin murder. The law begins to crack down after a public outcry. Once crooked mayor William Hale Thompson is re-elected in Chicago, some of the gangs will leave Cicero and move their operations back to Chicago.